Yesterday we were in Amalfi and today we take a short bus ride (or taxi) up 3 miles of very narrow winding road to the town of Ravello. Ravello has a population of only about 2,500 people. This two towns are on the Amalfi Coast in Campania in southern Italy. 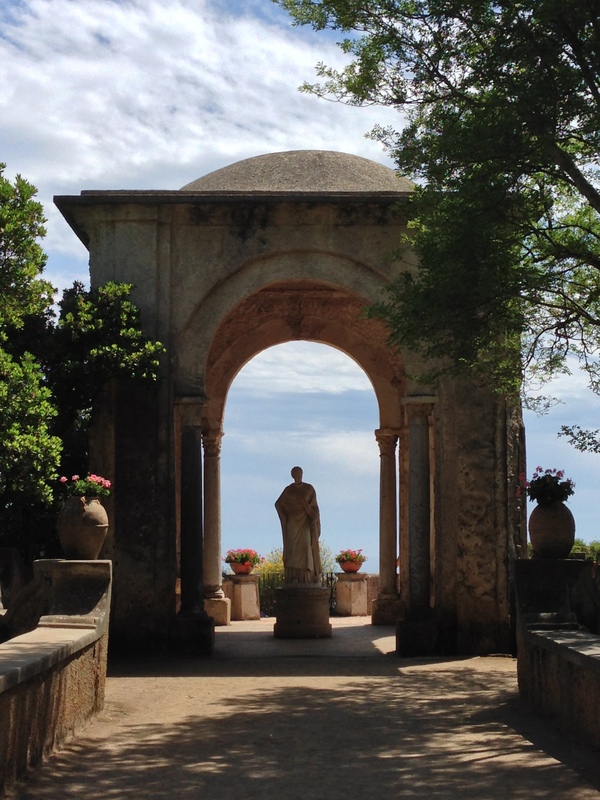 Ravello was a refuse for the rich and famous. They could come here and relax without photographers or the public. The list included Richard Wagner and Greta Garbo. These are worth a visit. 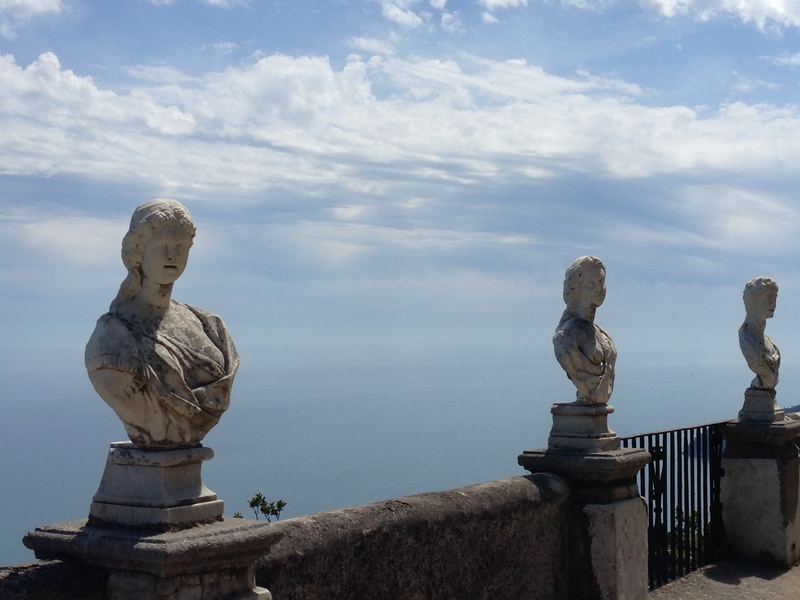 We loved Villa Cimbrone. 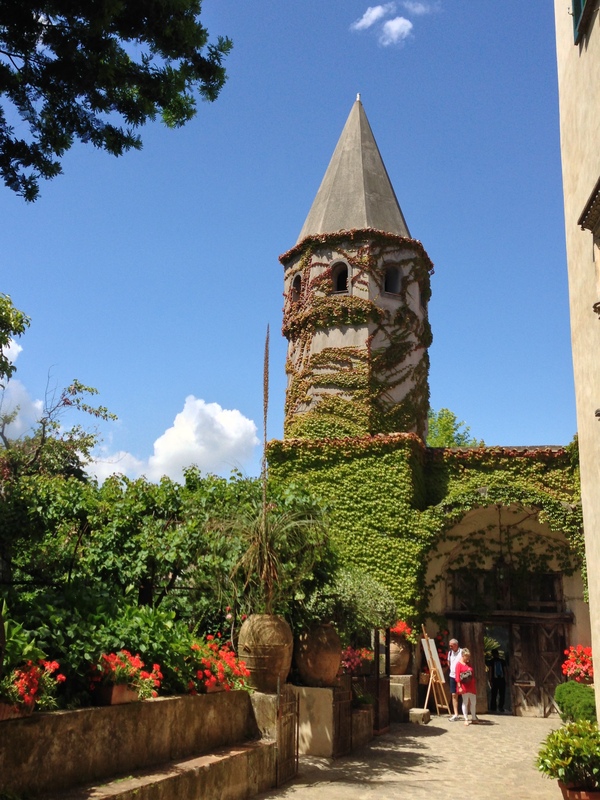 It has wonderful gardens and old buildings. You can walk out to the edge of the cliff and see the sea far below. You can also see the mountain road you took up. The square in town is a nice place to relax and have a drink or gelato. You will find a tourist information place just off the square. The bus stops outside the town. 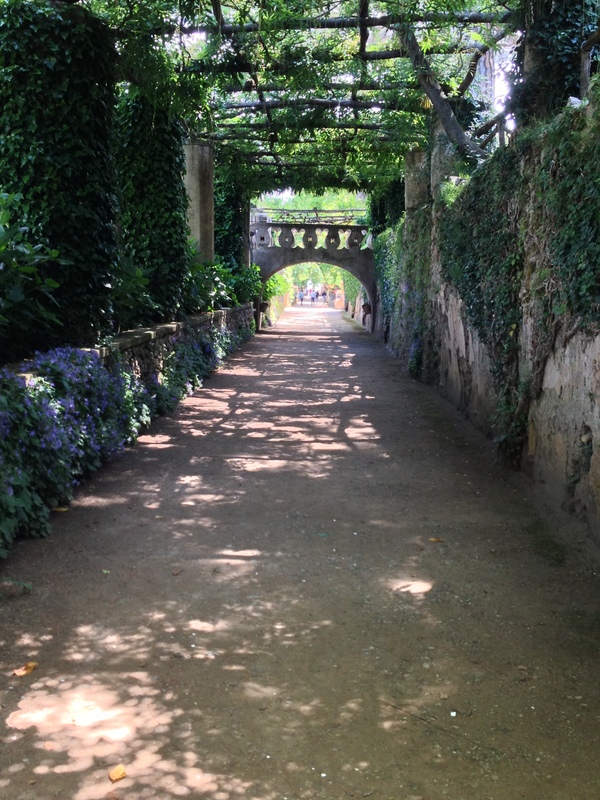 Walk through a small tunnel that takes you through the old wall to the city center. 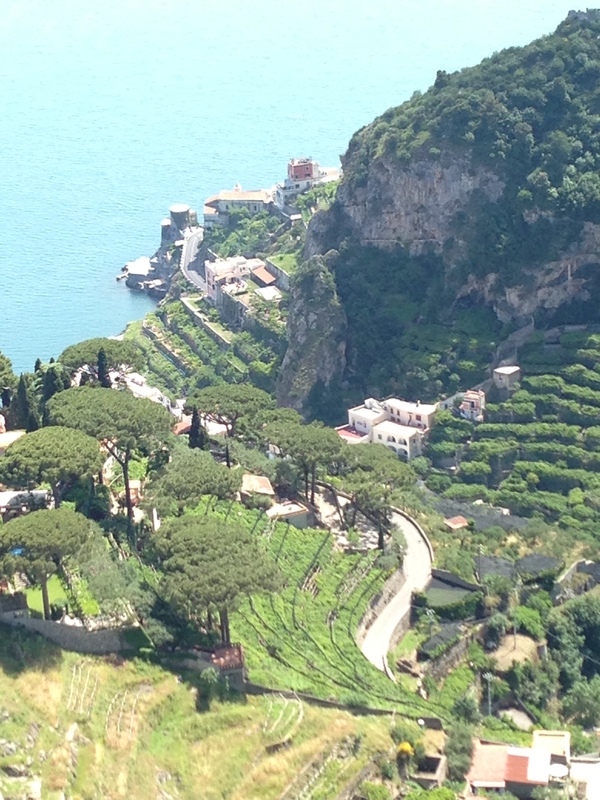 If you are going to the Amalfi Coast, don’t miss Amalfi or Ravello. They are worth a day trip. 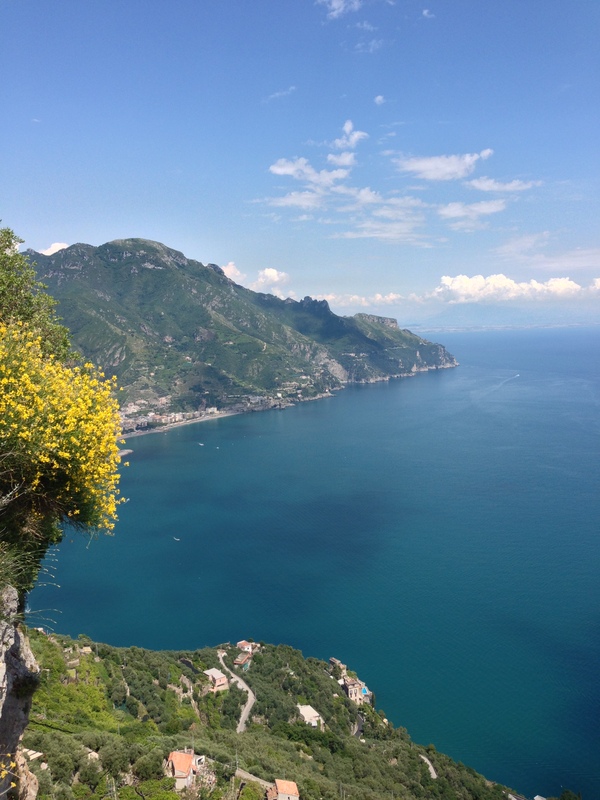 Take the ferry from Sorrento, Positano or Salerno. You are right except for the busses. We were standing all the way up. The good news is there were too many people on the bus to fall down lol.